Teaching may not be the most financially rewarding of professions, but those who have taught will tell you that life in a school is nothing if not always interesting. As opposed to a desk job in some fancy corporation somewhere, working in a school brings something different everyday. Apart from working with young people, which is the fountain of youth that Ponce de Leon failed to discover, there is humour day in and day out. Take this anecdote that I am about to tell. It does not involve me and neither do I have first hand knowledge of it. 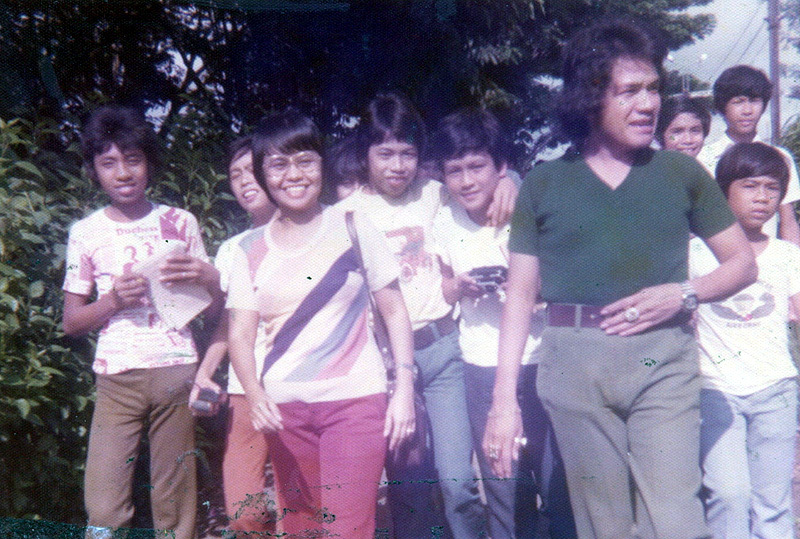 It involves two of DLSL’s iconic high school teachers in the eighties: Biology teacher Sir Cris Zarate and Social Science teacher Mr. Paddy Padilla. I actually taught the same class World History two years later; and a good thing the incident did not occur during one of my classes. It also involved the sophomore cream class. 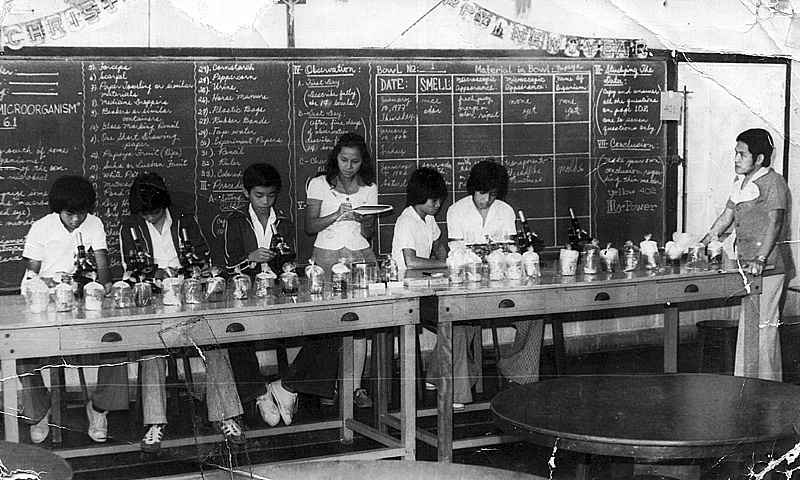 The incident happened in schoolyear 1981-82, the year before I started teaching at the school. The story was told and retold by another of the eighties’ iconic teachers, Mr. Morris Lingao; and that is how I came to hear about it. Needless to say, we always had a good laugh each time. And so it was one day when Sir Cris had no class but was walking along the corridor on his way up to the faculty room on the second floor of the 500-wing. He had no class at the time. At this time, Room 400, the first room along the ground floor, was something of a mini-auditorium with tiered rows of seats rising up to the back door. This room was used sometimes for faculty meetings but was also used for special classes that had film showings and other visual presentations. If you approached the room from a certain angle, it was impossible to see if it was occupied. This was probably how Sir Cris approached it. As he walked, something caught his attention. He could clearly see through the open door that a group of students was engaged in a fight in front of the room where the teacher’s platform was. So, Sir Cris did what any teacher would have done under the circumstances. The fight was quickly broken up; but the fighting students were bewildered. The interruption was not only totally unexpected, it was also totally unwanted. When Sir Cris turned around, he got what must have been the shock of his life! There was an entire class gawking at him. The fight that he just broke up, he would learn, was a role-playing skit by a group of students for Mr. Padilla’s Social Science Class. Sometimes, trying to be a good guy does not pay at all! Being Sir Cris – and realising what an embarrassing situation he was in – he wordlessly about-faced and hastily walked out of the room. Else I would have died laughing!